Phyllostachys nigra 'Henon' is a large Timber bamboo originating in Japan. It is one of the 4 bamboos to achieve large size in temperate climates- the other large bamboos being Moso, Vivax, and Japanese Timber bamboo. Of these 4, Henon, Japanese timber, and Moso have good quality, strong wood. In our climate zone, Henon has achieved the largest size. Common uses for Henon bamboo are wood for craft purposes, edible shoots, and ornamental use in the landscape. As a large bamboo, Henon works well for creating a bamboo grove, as well as a tall vertical privacy screen. 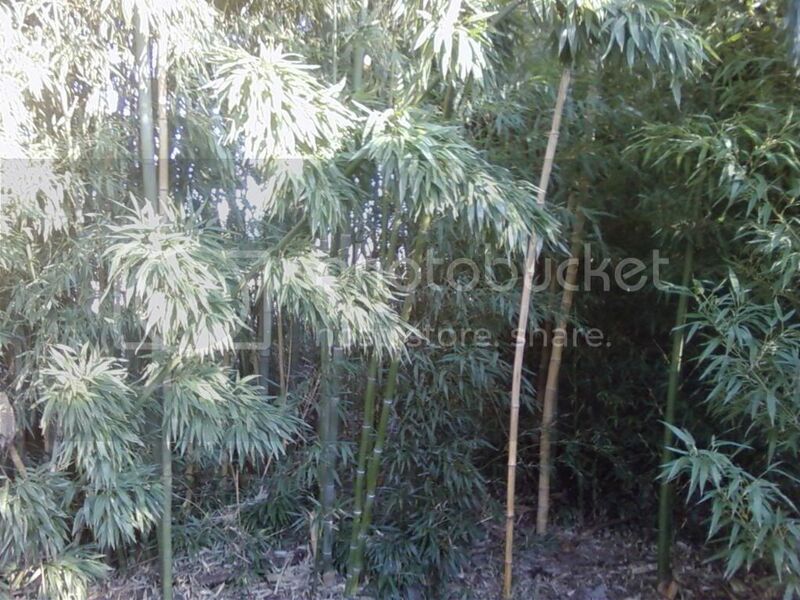 Henon bamboo is very drought tolerant once established, making care for it easier. Phyllostachys nigra 'Henon' is in the same family as the much sought after Black Bamboo, Phyllostachys nigra, However, the canes are green, and turn a powdery gray/green with age. It is believed to be the original form of Black Bamboo, of which the colored forms came from, However, because Black bamboo was discovered and named first, Henon is now included as a variety of that species. Someday, to be scientifically accurate, we may have to change the names of the plants to Phyllostachys henon, and the black bamboo to Phyllostachys henon 'Nigra'. Size- Can reach 65' tall in ideal conditions, but more commonly reaches 40'. canes can be up to 5" diameter. Can be trimmed shorter like a standard hedge.